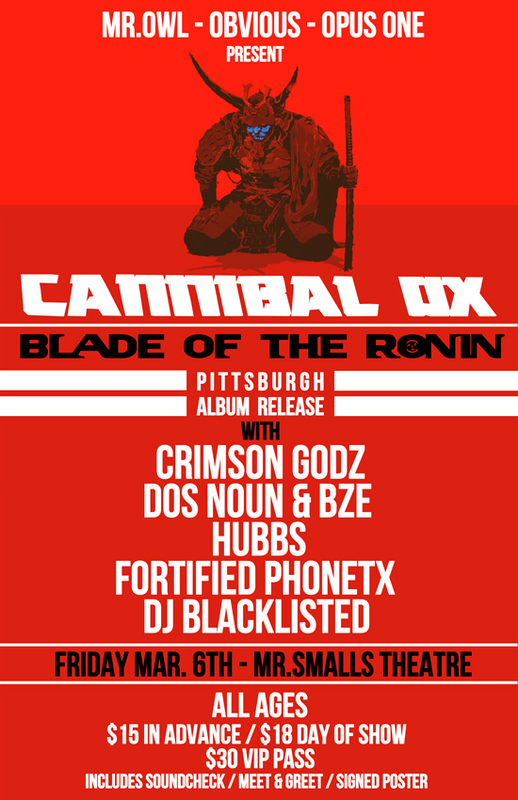 Blade of the Ronin is the first new album from Cannibal Ox since their 2001 debut The Cold Vein, which is highly regarded as a classic amongst hip-hop fans and critics alike. Blade of the Ronin features guest appearances by MF Doom, U-God (of Wu-Tang Clan), Elzhi, Artifacts and more, and will hit stores worldwide on March 3rd via IGC Records / iHipHop Distribution. This entry was posted on February 10, 2015 by dominantforce. It was filed under Shows .